Truly unique home in the River Ridge subdivision in Georgetown features many upgrades & improvements as well as a large wooded lot. Home feels like a treehouse with its many balconies and private decks. 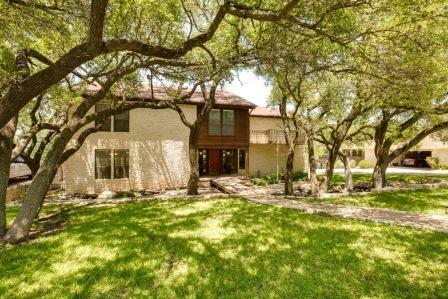 Over 3000 square feet in this spacious home, with vaulted ceilings throughout. Make sure you check out the basement with walkout patio! Stainless steel appliances, granite counters. Washer, dryer, fridge, & microwave all convey. Home backs to the San Gabriel river and has steps that lead down to it!